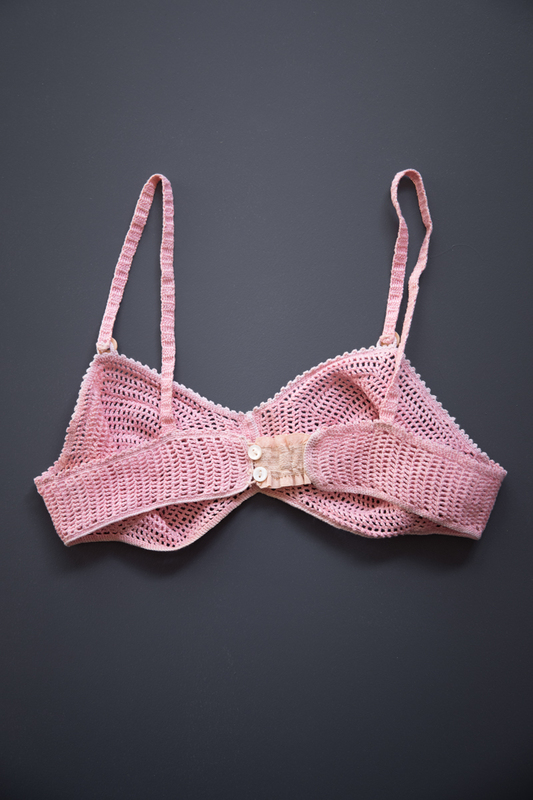 Crochet brassieres were first popularised in the 1930s, giving the lightly lifted bust line that was so fashionable for the time period, with a number of crochet patterns available for home crafting. 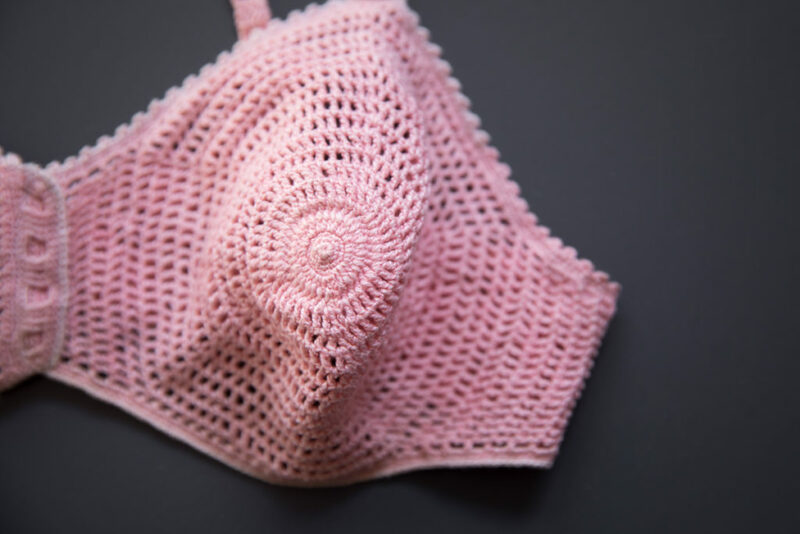 This example was crocheted as a two pieces and has a spiral pattern over the bust forming a gently pointed shape. 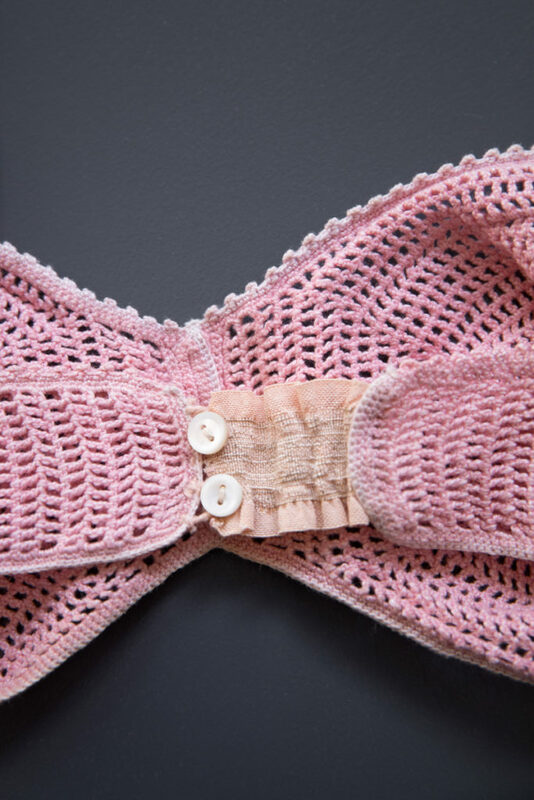 The shoulder straps are crocheted, attaching to the bust apex with bone buttons. 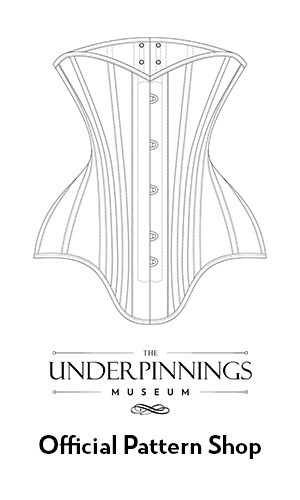 The original bra had a button fastening at the centre front but this has been altered and stitched over into one piece. The centre back was altered into a new fastening, with a small piece of silk knitted elastic, hand stitched button loops and shell buttons.